GZ Industries Ltd. of Nigeria plans to expand into South Africa with the construction of a 1 billion rand ($71 million) factory, becoming the second beverage-can maker after Nampak Ltd. to have operations in the country. Nampak shares fell the most in four months. GZI agreed to a partnership with local packaging maker Golden Era Group and will build a plant in Johannesburg with annual capacity of 1.2 billion cans, the Agbara, Nigeria-based company said in an e-mailed statement on Tuesday. The factory will start operations in the second quarter of next year and supply other southern African countries, it said. "This partnership with Golden Era accelerates our access to new markets across southern Africa, and consolidates our ongoing expansion efforts," GZI Chief Executive Officer Motti Goldmintz said in the statement. "Upon completion of the plant, GZI will have the capacity to manufacture in excess of 3.5 billion aluminum beverage cans every year." 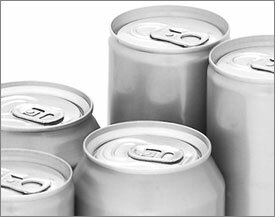 Johannesburg-based Nampak, the continent's largest maker of beverage cans, is also expanding with new plants in Nigeria and Ethiopia. Nampak shares declined 6.1 percent, the most since May 26, to 25.83 rand at the close in Johannesburg, valuing the company at 19 billion rand. The stock is down 41 percent this year, compared with a 0.8 percent fall on the FTSE/JSE Africa All-Share Index. GZI is owned by a group of four individual investors, Standard Chartered Private Equity, Verod Capital Management and Ashmore Private Equity.